Which lunch Item will your claw choose? 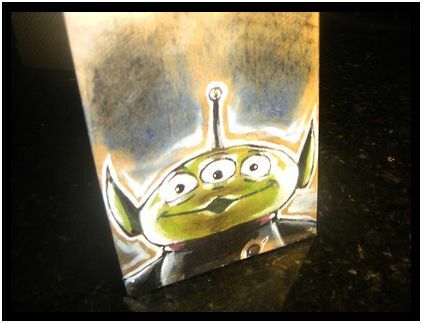 This is a beautiful drawing of the Squeeze Toy Alien from Toy Story. I love how the excitement of the LGM is captured in this drawing. This piece is titled "we are eternally grateful"